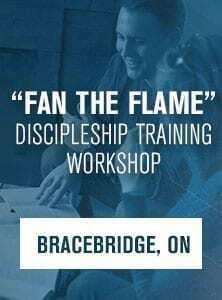 Jesus commanded His disciples to go and make more disciples, but this command to evangelize extends well beyond the conversion of an unbeliever. 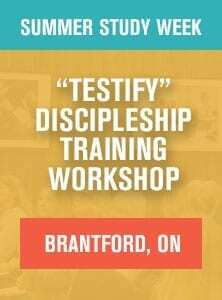 Jesus said “teach them to observe all I commanded you”. 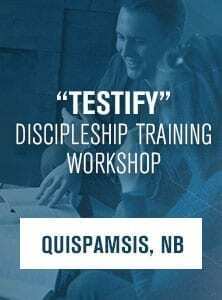 Jesus has called us to be His witnesses to His power and glory; He has called us to share the gospel and to disciple new believers in to a growing knowledge of their Saviour. 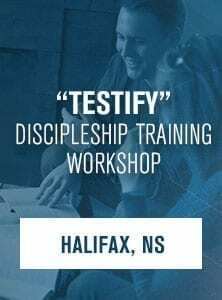 Unlimited available "Testify" Discipleship Training Workshop $30.00 Jesus commanded His disciples to go and make more disciples, but this command to evangelize extends well beyond the conversion of an unbeliever.